Dana Janssen // TourReady, Inc.
After 30 years of mixing the sound for music in countless cities and countries, doctors informed Lee Popa of this devastating news threatening not only his career – but also his life. An autoimmune disease caused Popa’s liver to fail at an extremely rapid pace. Poppa became very ill and overwhelmed with emotions of what was to come. With incessant thoughts of becoming homeless, feeling helpless, eventually losing hope and most devastating to Popa, leaving behind his crew who are family, he needed help from his community to survive. A live donor came to Popa’s side to volunteer half of his liver where doctors and nurses of USCUH were able to save his life – and Behind the Scenes stepped in to ensure his family didn’t lose their home or have their utilities turned off while he was recovering. “I couldn’t believe that when I needed help, Behind the Scenes was there and didn’t turn their back on me. I am the crew guy, not the superstar,” Popa told BTS. Countless behind-the-scene industry professionals have been dealt similar devastating health problems with seemingly no solution in sight. Several individuals, like Popa, spend their entire lives behind the scenes with a goal of making other people feel alive only to discover their own lives are the ones in utmost danger. The Behind the Scenes charity recognizes the unfortunate reality that men and women in our industry do not reap the same health insurance and other financial benefits as other fields do. Without the ability to work, those entertainment professionals who do receive benefits lose them very quickly. The lack of benefits inevitably poses financial tragedy for ill or injured individuals and potentially for their entire family. In response to this common issue among industry professionals, Behind the Scenes was launched to help prevent the financial tragedy that so often accompanies misfortune by providing temporary assistance during recovery or the transition to disability. Watch the video & continue reading to learn who is eligible for a grant, what the grants can be used for, how the application process works, the new BTS Counseling Fund and how YOU can support Behind the Scenes today! More information at http://www.estafoundation.org/bts.htm Grant recipients share how Behind the Scenes provides help for entertainment technology professionals when they are injured or ill.
Who is eligible for a Behind the Scenes grant? If you currently reside in the United States or Canada and have earned your living for at least five years in the entertainment technology industry, and are seriously ill or injured, you may apply for a grant. Immediate dependent family members including spouses, domestic partners and dependent children may also qualify for assistance if they are ill or injured. Behind the Scenes was created to help you and your colleagues during times of need. The charity assists industry professionals who are directly involved with the technical aspects of entertainment including lighting, rigging, scenic, audio, wardrobe, hair and makeup, camera, design, production management and technical direction. What can you use grants for? Individuals may use grants for living expenses such as rent or mortgage, utilities and transportation. In addition, individuals are able to utilize grants for medical care such as doctor or hospital bills, medications, physical therapy, wheelchairs and other aids, health insurance and home healthcare. Grants may also be used towards funeral expenses for industry professionals who have passed away. Is having a hard time paying rent because he or she has been out of work due to an injury? Is battling cancer, has met the cap on their health insurance and is struggling to purchase monthly medications? Is a bereaved spouse or a dependent unable to provide for him or herself? If the answer is yes to any of the above, you may be able to help someone who may immensely benefit from a Behind the Scenes grant! First, a Review Committee made up of members from the Behind the Scenes Foundation Board of Directors looks over all submitted applications. The committee generally makes grant decisions within a few days of receiving a submission. If a grant is awarded, you will be contacted immediately to coordinate delivery of the grant. Checks must be made payable directly to service providers and can be sent directly to the provider or to the grant recipient for distribution. The Application for Assistance is available at www.btshelp.org/application. This fund is designed to provide early access to mental health and addiction counseling by assisting with the associated financial burdens. For individuals seeking to initiate or support ongoing counseling, Behind the Scenes issues funds as a subsidy on a per visit basis giving you the flexibility to change providers if you find your initial choice isn’t working well, and more importantly, encourages a longer-term client/therapist relationship. Funds are also available to individuals entering an in-patient or intensive out-patient recovery program. A special application for assistance is available for a Counseling Fund grant. The Counseling Fund Application is available at www.btshelp.org/counseling. How Can You Support Behind the Scenes? Spread the word to those in need that help is available. The program is funded solely through contributions from industry members. You can make a contribution online anytime, and many individuals and organizations have come up with creative ideas to support Behind the Scenes, such as workplace giving campaigns, charity motorcycle and bicycle rides, donating auction items, designating the proceeds from sales of a product or service, or dedicating a performance to Behind the Scenes. For more information about Behind the Scenes, to donate, or to apply for a grant, visit www.btshelp.org. Last week the live entertainment industry lost yet another young, talented artist far too soon. Tim Bergling, better known as the Swedish DJ Avicii, had been pronounced dead in his hotel room in Oman at age 28. With recent news of Bergling passing by suicide, the topic of mental health once again takes center stage. On Tuesday, TMZ reported details far too private surrounding the tragic passing of Bergling. Furthermore, TMZ's language of "committing suicide" focuses the entire blame on Bergling himself - something that immensely contributes to the stigma surrounding mental health. In turn, this stigma fuels even more tragedies when individuals are afraid to get the help they truly need and deserve. Instead, we recognize that Bergling died by suicide - something we must keep saying in the fight for mental health. Though the actual details are and should remain private within his family and loved ones, the news of a clear suicide waves another blatant red flag in the face of our industry - one we should never ignore. Bergling’s family had first released a statement thanking his loved ones and beloved fans for the public gatherings, church bells celebrating his music and the several Coachella tributes the first day of weekend 2, April 20 - the day news of his death occurred. Our beloved Tim was a seeker, a fragile artistic soul searching for answers to existential questions. An over-achieving perfectionist who travelled and worked hard at a pace that led to extreme stress. When he stopped touring, he wanted to find a balance in life to be happy and be able to do what he loved most – music. He really struggled with thoughts about Meaning, Life, Happiness. He could not go on any longer. He wanted to find peace. Tim was not made for the business machine he found himself in; he was a sensitive guy who loved his fans but shunned the spotlight. Tim, you will forever be loved and sadly missed. How many beloved individuals within our industry will leave us far too soon for us to position mental health on the same level as importance of physical health? Bergling’s fans have taken to social media sites to express outrage toward the DJ's management, accusing them as far as working him to death. The backstory? Bergling had suffered from acute pancreatitis and a number of other serious health conditions, CBS News reported. And in 2014, Bergling had his gallbladder and appendix removed, cancelled shows to recover, and even retired from touring in 2016. Signs from his documentary Avicii: True Stories, released six months prior to his death, show fans his struggle to keep up with his strenuous career. More specifically, there is a video clip fans are talking about most - see the clip below. To put all blame on management or any one person isn’t exactly the way to go about the aftermath of such tragedy. In the end it’s mental health we must tackle head on and recognize when enough is enough - before it’s too late. Looking at Bergling’s circumstances and examining just how well he was treated does spark concern for the lack of mental health care he received - if he received any at all. One article in Digital Music News, touched on the machine Tim Bergling created: the Avicii Machine, basically “Avicii, Inc.” To elaborate, slowing down Bergling - slowing down the machine - means less income for the several people involved in his team. Just how much money was this machine making? After “Levels” put him into the spotlight in 2011, Bergling’s 2013 hit “Wake Me Up” marked Spotify’s most streamed song ever. At the peak of Bergling’s success in 2014, he made $28 million in one year. Looking at his career as a whole, between 2012 and 2016, Bergling made almost $90 million from his music, QZ reported. To slow the machine down while it rapidly picked up would mean slowing down the incredible income Bergling was earning - for everybody involved. Bergling played 320 shows in one year, up until March 2016 when he decided to retire, Daily Mail reported. His documentary revealed many disagreements between him and his manager, Arash ‘Ash’ Pournouri had about keeping the machine going. In one scene Bergling reveals to his friends about these conversations saying, ‘I have said, like, I’m going to die. I have said it so many times. And so I don’t want to hear that I should ever entertain the thought of doing another gig. And I know Arash knows this, which is why I feel extra hurt - because he has said that [I should play more gigs] when it suits him,’ cited Daily Mail. The film also captures Pournouri stating Bergling ‘doesn’t understand the value of money. And he doesn’t understand how his decisions affects other people very negatively’ after Bergling decided to put the state of his well being first before touring. Bergling’s career took off in 2008 when he was only 17 and Pournouri, 26. At that young age with little experience, an artist may not know of their limits, Pournouri actually said of Bergling at Sydney’s Electronic Music Conference in 2012, Junkee reported. And his limits were pushed very much so. There are many instances the documentary captures with the pressure put on Bergling to continue forward, despite the mental and physical problems he suffered with on a daily basis. The documentary also revealed how alcohol battled his anxiety and stress, being a self-proclaimed introvert. The documentary painstakingly captured Bergling’s experienced anxiety and panic attacks. In terms of his passing, we cannot play the blame game. Of course, we can say his management put indescribable pressure on Bergling. Of course, we can suggest the dynamics within his team communication and overwhelming scheduling triggered his poor mental health and alcoholism. But as we have discussed in multiple mental health articles before, we must apply the same to Bergling’s passing: in the end, the only one responsible for saving your mental health, is you. You must be in control of your own mental well being. Did the years of untreated poor mental health and physical health become too much for Bergling to bear? Yes. This is where we must tackle the issue to prevent the number of fatal outcomes to mental health from growing within our industry. On the surface level, it’s easy to blame Bergling himself - for the alcoholism, for the alleged self-inflicted wound causing his death. But - Mental health is not a surface level topic! Nor should anyone ever treat it as such. What we do know is individuals struggling with mental health commonly abuse a number of substances in order to cope. In wake of his 2016 retirement, Bergling had expressed his personal struggles and need for help to his fans through a since deleted letter on his site regarding his retirement. In the end Bergling decided to keep pushing himself during his most troubling times. Clearly, Bergling had retired too late - after much of the mental and physical damage had already been done. We have to continue to change the culture. We really have to show how much we care about the people surrounding us by continuing to check in on their lives. Bergling’s management should have grasped the importance of wellness over money and success. It could be safe to say if your team fails to acknowledge your overall well being first, you should reconsider the team completely. Surround yourself with others who support your mental and physical health. No precious life is worth a temporary income - no matter how large that income may be. Instead of adding Bergling’s name on the list of a young, talented musicians tragic ending, we have to act. We must educate everyone from management, to fans to promoters to clubs to investors about the real result of untreated mental health. Everyone is talking, but when will everyone start doing? Mixmag believes the EDM industry - but perhaps the whole music industry as a whole - needs to implement policies of their own. Create mandatory breaks from touring. Create more accessible events for touring artists such as Remedy State: IMS Ibiza holistic program featuring mindfulness, exercise, physical therapy, medical evaluation and nutrition. This retreat is so tailored for the constant touring artist - it is founded by IMS’ Ben Turner and OWSLA co-owner Blaise James DeAngelo. The practices taking place at the program are a direct response to the touring lifestyle. The website addresses the irony within the music industry. If music is meant to heal the mind, body and soul, why does the lifestyle support the opposite effect? This is just the beginning. We need to establish more industry-specific retreats such as these. What if there was one day dedicated to mental health within our industry? Bell Let’s Talk Day occurs in Canada every year. But what if this day prevented any shows from occurring? What if work stopped for just one day to focus on the lives of touring artists? It’s not that far fetched. Although religious driven, Nyepi Day in Bali, Indonesia, better known as the Bali Day of Silence, occurs every year on March 17. Literally everything on the island shuts down. Lights are shut off. No vehicles are allowed on the streets. All travel is shut down. Most tourists avoid this day altogether. Just what if there was a day like this for touring artists? What if, for one day out of the 365 days of the year, our industry put mental health on the spotlight and silenced our loud speakers to reflect on ourselves and our loved ones? What if, for those 24 hours we positioned self-care before money and fame? What if we recognized ourselves as human - not a machine? 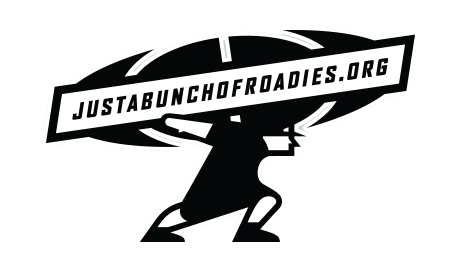 TourReady is a Proud Partner with Just A Bunch of Roadies! Use your promo code from Just A Bunch of Roadies & 10% of your subscription will be donated to the organization.